Let's throw a spotlight on some of the BEST Advanced Facebook Marketing Strategies to bring your Facebook Ad Campaigns back to life in 2019! Facebook is a global powerhouse when it comes to social media marketing. With over 1.3 billion daily active users, Facebook continues to be one of the most preferred social media sites by businesses to be used for their marketing purposes. 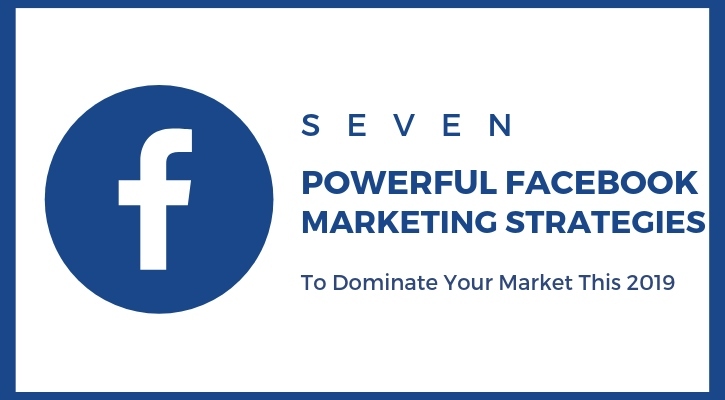 In addition to the vast potential audience that Facebook can provide businesses, it also packs a lot of features that support marketing such as a wide variety of formats, both paid and free, that can be used. There are also some tools that aid in boosting one’s Facebook marketing campaigns. 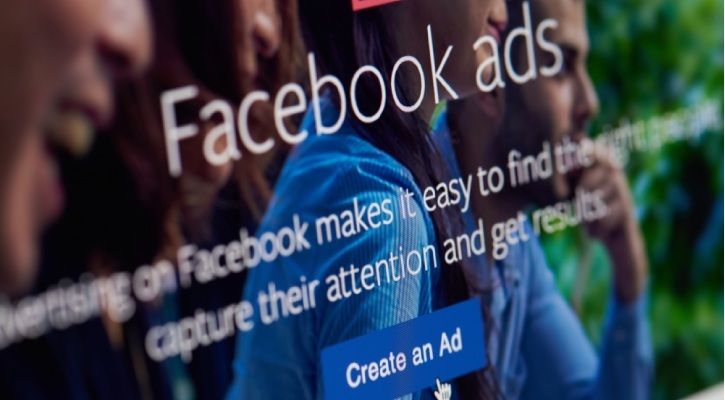 Paid advertising on Facebook can help businesses as it allows them to target specific subsets of users to match it with their target market. With this, there is a higher probability for this selected audience to become actual customers. Facebook allows you to filter users by demographics and interests, so businesses will more likely be able to find their most ideal customers this way. Dynamic Ads – Ads that appear to users because of interests that are determined from analyzing various internet activity. Lead Ads – Another mobile-oriented add that aims to make data gathering for mobile users easier. Messenger Ads – Ads that appear on Facebook Messenger. 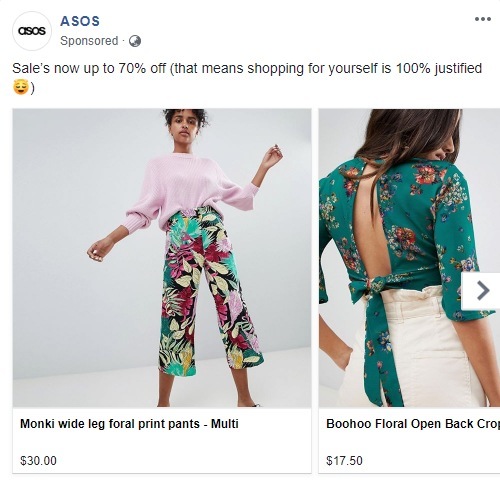 Asos, an online fashion and cosmetic retailer, uses multi-product carousel ads. Like the image above, they’ve showcased some of the items that are currently on sale on their shop. Holding Facebook contests can be an effective strategy to not only engage your current followers but also to be able to expand your brand’s reach. Facebook contests usually involve participants to like, share, or tag their friends, allowing these users to get acquainted with your brand. They can then do the same, allowing your brand to reach even farther. The key is to come up with contests that are exciting enough, and which do promise a worthwhile reward for a selected winner. Typical Facebook contests are like and share, tag-a-friend, and photo contests. Any of these three, when executed right, help your brand earn a lot more likes and followers. Facebook allows the interaction among pages within its platform. You can write a post, like, share, and reply to mentions, on other brands’ page using your business’ profile. This opens opportunities for businesses to work together as they see fit. This way, businesses can cross-sell, and boost each other’s campaigns. The key is to be able to find businesses that can complement your own, and who are willing to work on a great partnership with you. 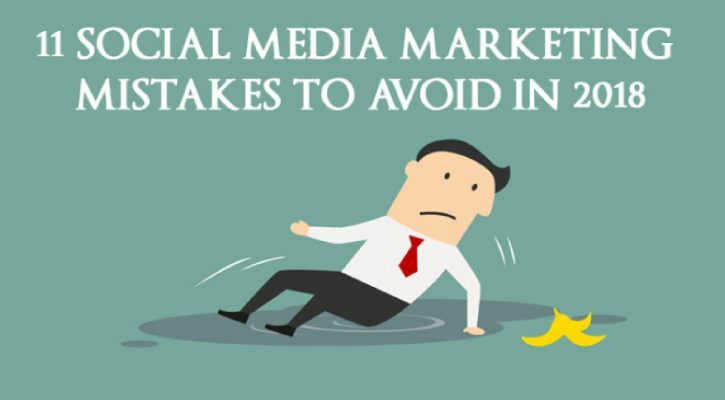 Even on social media, content is vital. And one of the best ways to make use of content on social media is to come up with localized pieces that can capture the attention you need. Studies have shown that Facebook users are more drawn to content that they can relate to, and by going local, you may just be able to achieve that better. Take Austin Starts Here, a travel company as an example. They share interesting articles that showcase their locale. 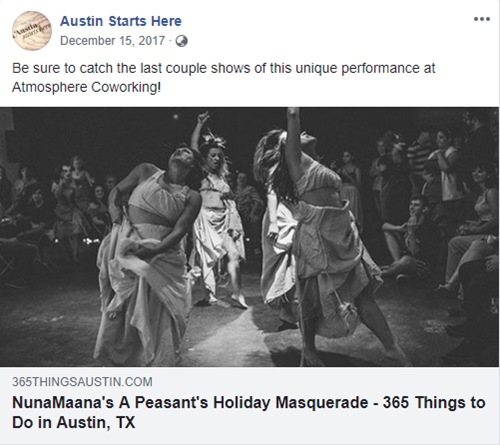 Like on the image above, they’ve shared an article containing 365 things that you can do when you are in Austin. This kind of content will interest your followers. Facebook groups foster an online community similar to traditional forums. This also puts together people who have similar interests, allowing your business to provide marketing strategies that can be targeted for each. This also allows you to engage your audience well, a strategy that encourages brand loyalty. But aside from creating your own group, you may also join groups that are related to your brand. This will provide you with fresh leads out of these people who are bound to be interested in what you have to offer. This will also enable your business to have better intelligence of your customers, and if possible, of competitors too. A lot of businesses fail to understand the need for cover photos for their profile despite it having great benefits. For one, your cover photo can be an avenue to display and promote your products and services. Your cover photo can also grab the attention of your audience. Make sure that your cover photo only makes use of high-quality images as to ensure that it can work. Otherwise, it might just be ignored. Forever 21, a fashion retailer headquartered in Los Angeles, took the opportunity to feature their new activewear collection on their Facebook page by using the image above as their cover photo. 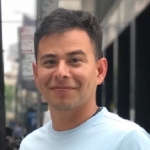 This way, whenever customers go on their page, this is the first one they will see, and this can have a positive impact on their side — gain more click-through-rates and even an increase in their sales. Videos are some of the most engaging forms of content so make sure that you take advantage of how easy it is to make use of videos on your posts. Make sure that your videos are also high-quality, and entertaining. 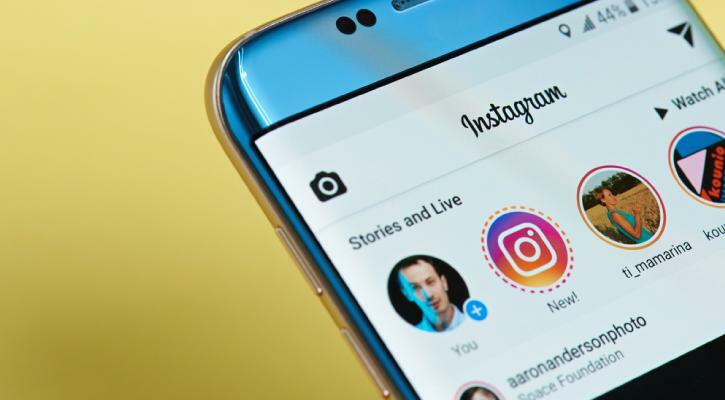 There are also other ways to use videos such as Facebook live, Stories, or even as a regular post. In any case, be creative when you make use of videos as part of your marketing strategy. Facebook marketing is indeed a proven modern-day marketing strategy. But this will only be true if you can come up with winning tactics. With the seven listed above, you will have a better chance to achieve just that. So try them out today.